Please select a category for its complete product listing. 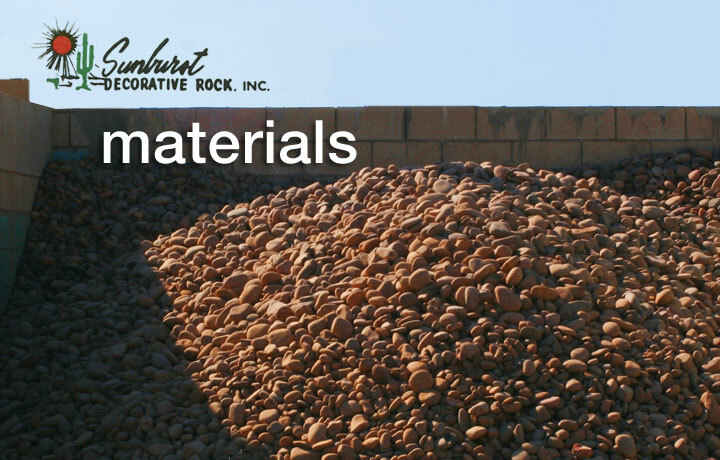 Sunburst Decorative Rock carries over 100 types of landscaping and construction materials. Raw materials are sold by the scoop (yard coverage), small scoop (1/2 yard coverage), and by the bag (approx. 5 sq feet at 1.5" deep). Boulders and flagstone are sold by the pound.